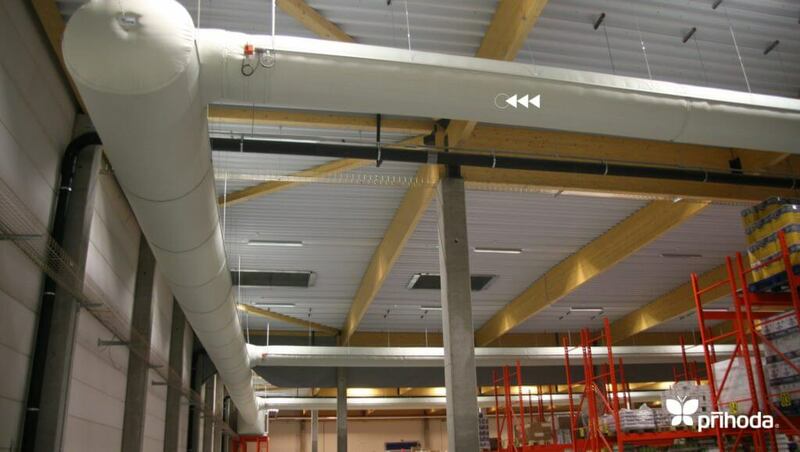 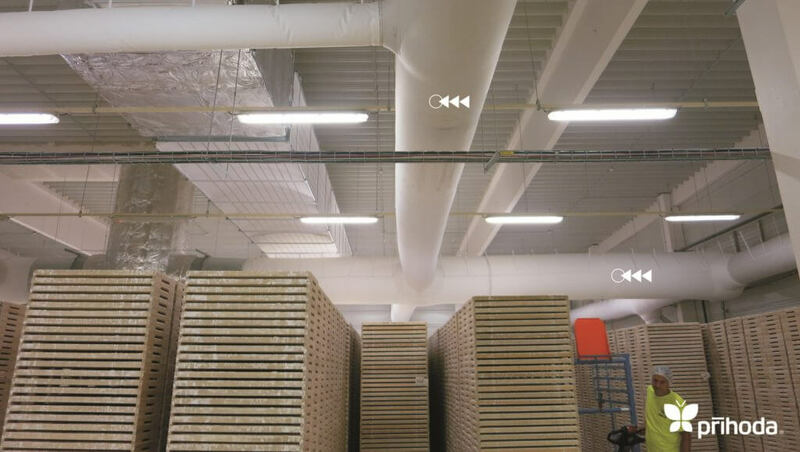 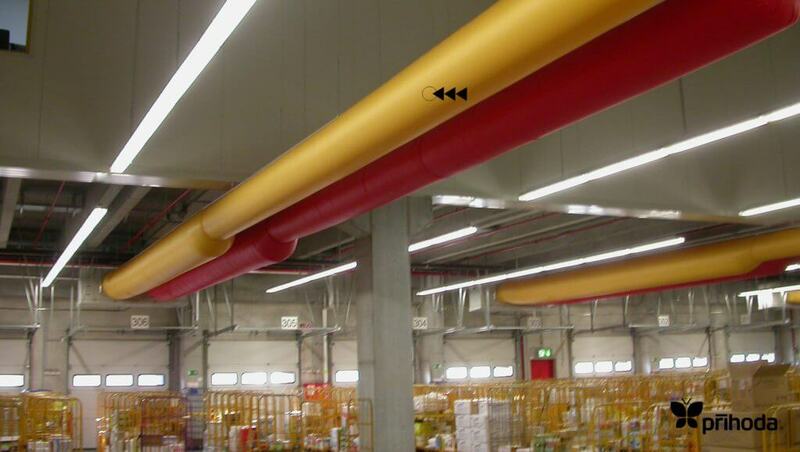 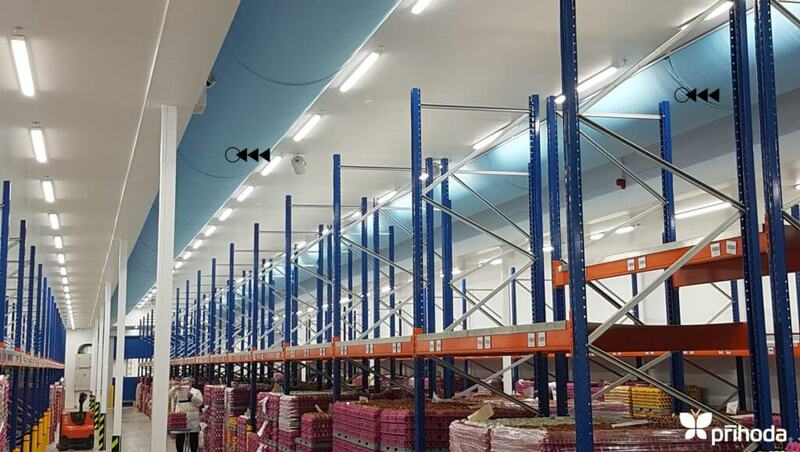 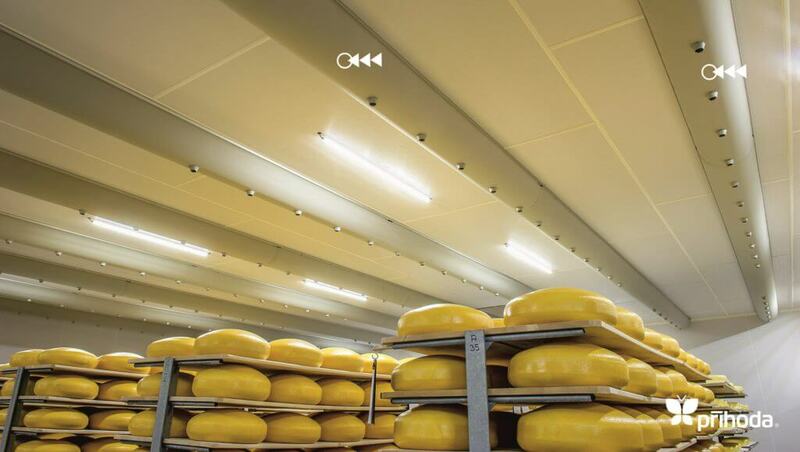 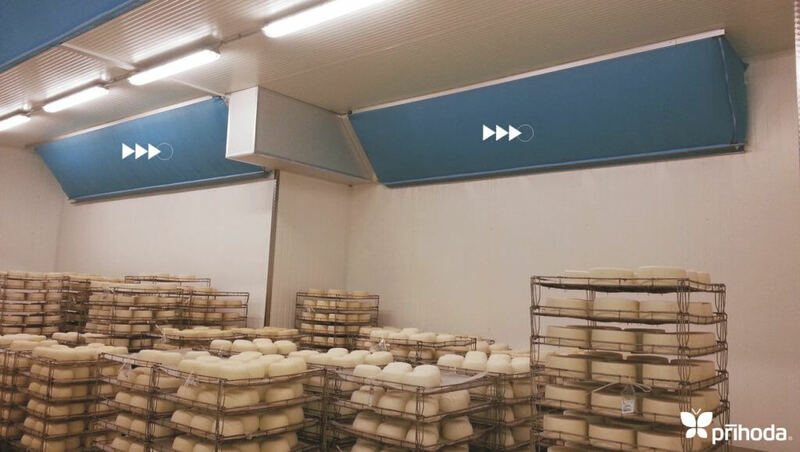 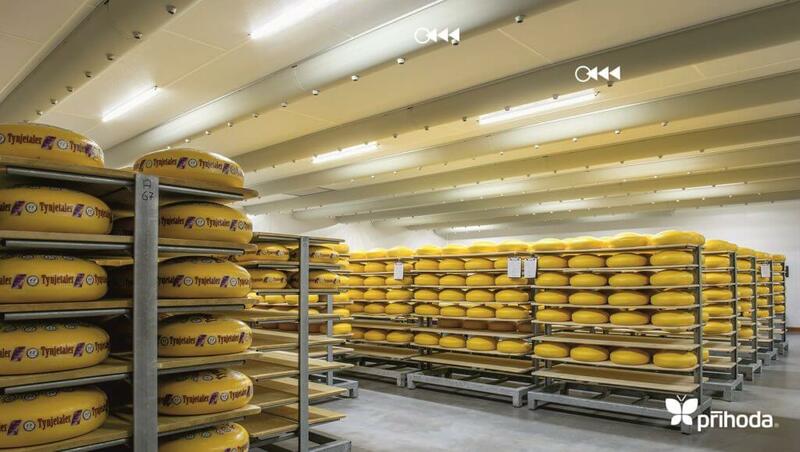 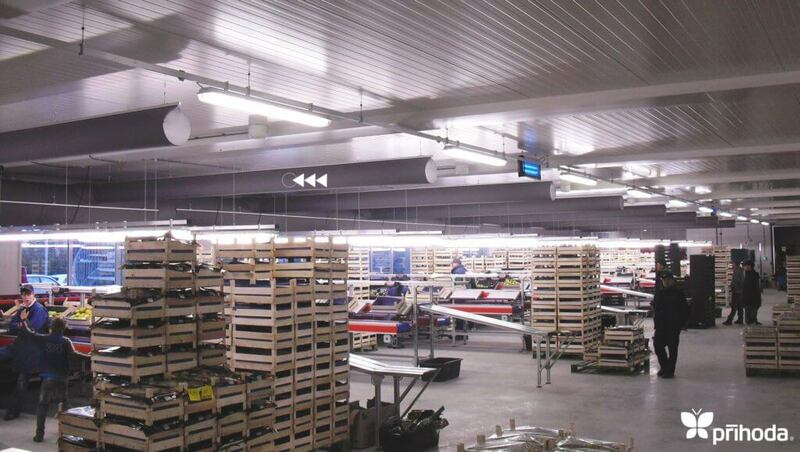 In large cold stores Prihoda Fabric Ducting distribution systems provide uniform air distribution, ensuring maintenance of stable product temperatures and temperature zones. 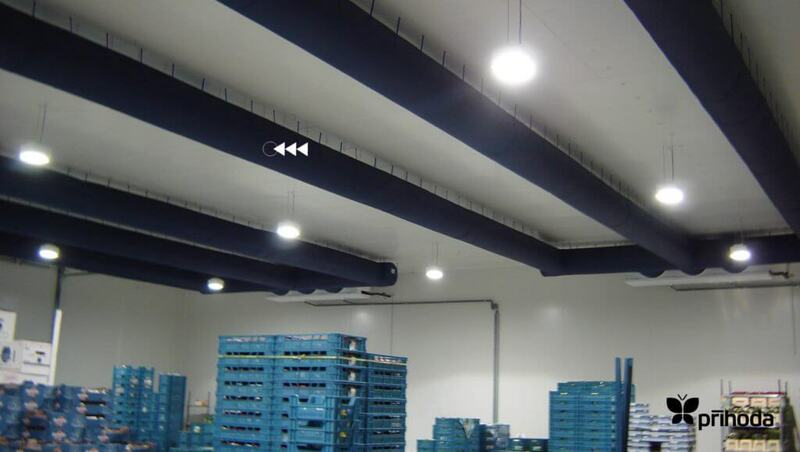 In production zones with large amounts of people working in low temperatures, high air velocity will be a major cause of dscomfort and may cause a higher sickness or absence rate. 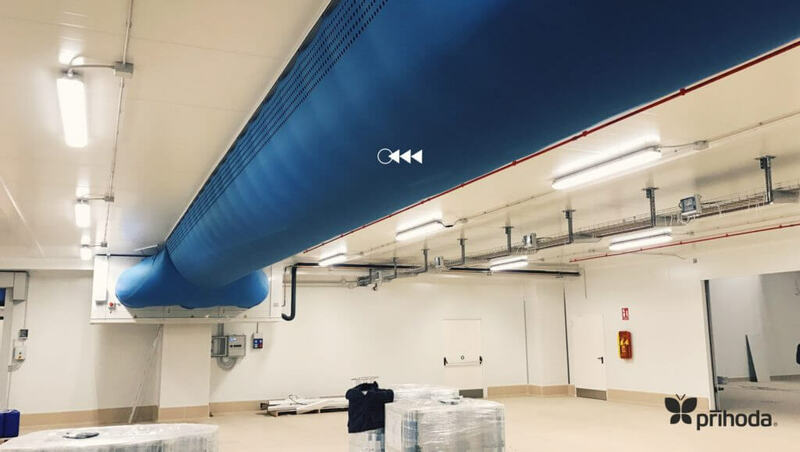 Fabric ducts and diffusers disperse cold air without causing draughts, and create comfortable, low velocity environments for workers.